With our guide on measuring curtains you'll be expertly sizing up your windows in no time. 2. 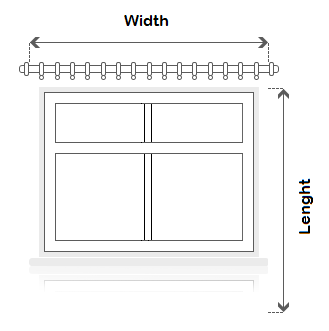 Multiply the width by 2, depending on how gathered or full you would like your windows to look. 1. Measure from where the curtains will hook onto the pole or track to where you would like the curtains to finish hanging. So for ringtop eyelet curtains measure from the top of the pole.